Lake Como is perhaps Italy’s most spectacular Alpine Lake, and therefore has been a major tourist destination, already since Roman times, when the rich and influential built their villas along its shores. A gorgeous blue ribbon, surrounded by chains of impressing mountains, will give you an amazing amount of great photo opportunities. 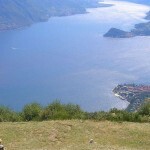 During this tour you will travel from the southern leg, featuring the beautiful town of Como itself, to the central part, where the three long ‘legs’ of the lake meet. Here you’ll find the picturesque town of Bellagio, nicknamed the ‘Pearl of the Lake’, situated on the promontory between the legs, but also Menaggio and Varenna, deemed to be the ‘most romantic town of the Lake. You’ll find that visitors have been coming to the area for over 2000 years for good reason: tranquil lakeside atmosphere and accessible alpine beauty. The best way to experience the region is to combine walking the trails and using the ferries to access many of the chic and charming villages. Doing so you will have the opportunity to really learn to know and love this area of stunning beauty, full of unique and evocative landscapes. Your walks will bring you through forest and pastoral land, but will take you up towards the steep naked peaks surrounding the Como Lake as well. 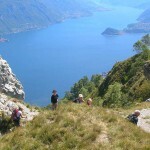 The first days of your trip will allow you to fully explore the charming city of Como and its Alpine surroundings. 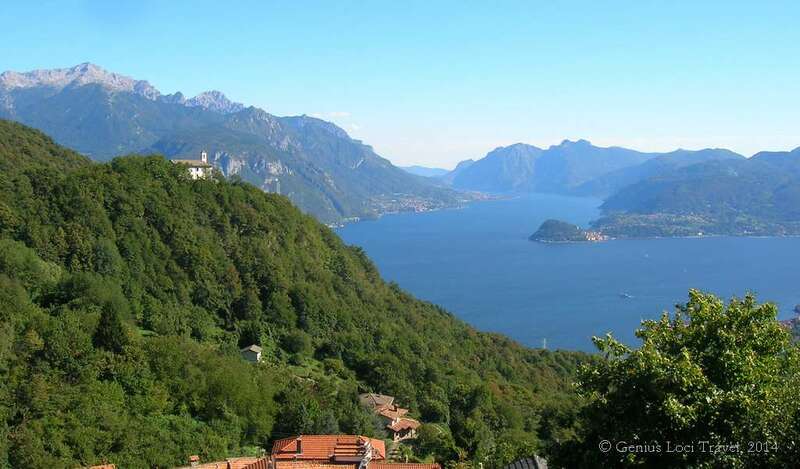 You will go for a ridge walk high above the lake enjoying sweeping views to both sides followed by a descent to the shore of Lake Como at Torno. You may spend an afternoon at Como itself, renowned for its Romanesque churches, its wonderful cathedral, medieval town walls and impressive villas, to visit the historic town centre. Then you may stroll along the lake to soak up the tranquil old world atmosphere. The next day you travel by cable car, boat and taxi from Brunate to the charming village of Breglia. 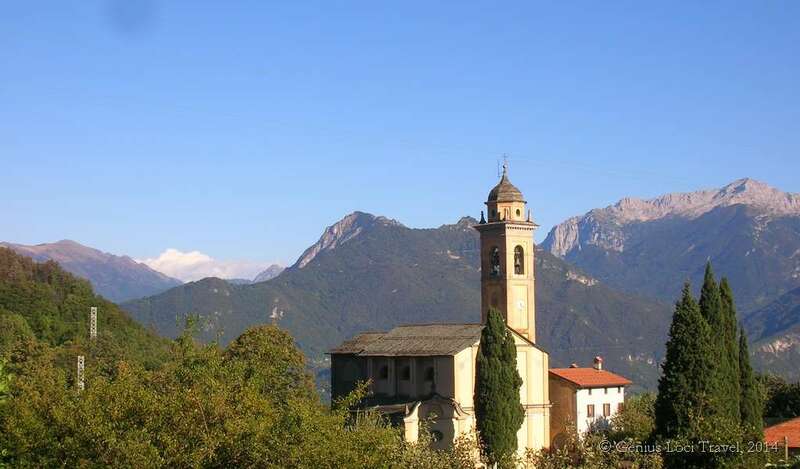 Here you can make a short walk to Madonna di Breglia, a ‘church with a view’. 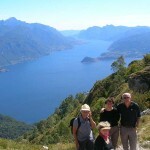 From Breglia a longer circular walk takes you to to a mountain hut providing spectacular views across Lake Como. 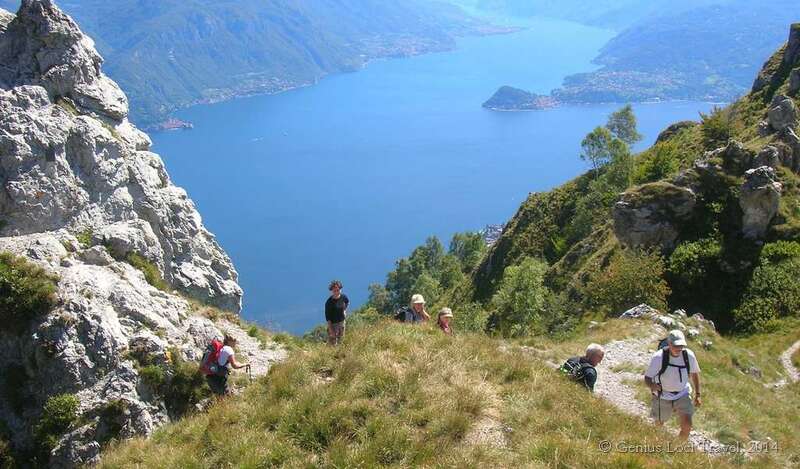 A short extension to this walk brings you to ‘Pizza Coppa’ for views as far as Lake Lugano in Switzerland. Dedicated walkers can make it to the summit of Monte Grona (alt. 1736 m.). From Breglia you will then move on by boat to arrive in the charming village of Varenna, deemed ‘Italy’s most romantic village’, (quite a claim). Varenna has inspirational views of the lake and the distant mountains, brightly painted houses adorned with flower-filled balconies, a bustling waterfront and a maze of meandering cobblestone streets. 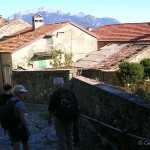 Here you can walk from Varenna to the small village of Bellano, passing through the canyon of the River Pioverna. Or you walk on the northern stretch of the ‘Sentiero del Viandante’, a relatively easy lakeside path from Dervio or Bellano back to Varenna. Views over the lake from this path are marvellous as you walk through a terraced landscape and visit the abbey of Piona, a most intriguing place. From Varenna you may as well embark on a day’s boat tour of the lake. 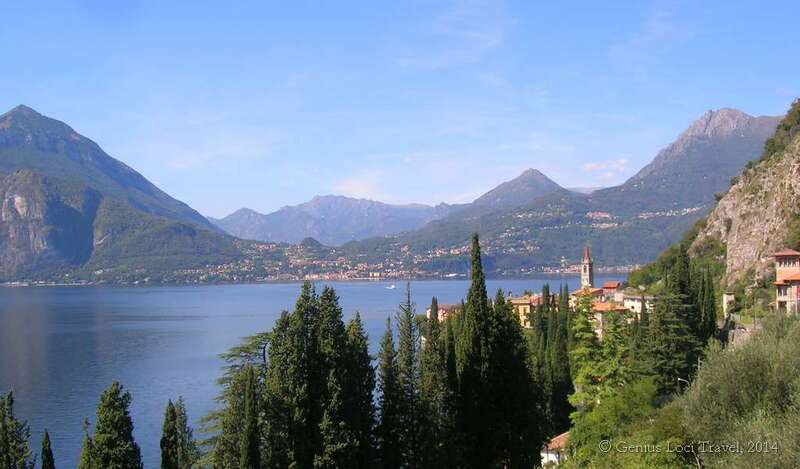 There are several places you could visit or start a walk, including the splendid Villa Carlotta, with its beautiful gardens, and Bellagio, ”the pearl of the lake”. 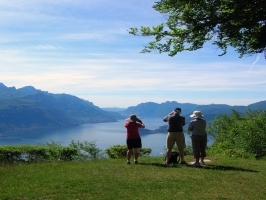 Highly recommended is the incredibly scenic walk through the delightful countryside, passing the fishing village of Pescallo, climbing to the charming hamlet of Visgnola, and then descending to the lakeshore and the wonderful gardens of Villa Melzi. Please note: this is a moderately easy tour which is suitable for those who have some experience with walking and a good general physical condition. Most of the walks are on good paths, sometimes on steep terrain. Average walking times: approx. 3 to 6 hours each day. Arrival in Como, either by train or bus. You can already pay a short visit to the very interesting historic town centre and maybe stroll along the lake to soak up the tranquil old world atmosphere. In alternative: Arrival in Milan. You are met by a taxi and brought to your hotel. 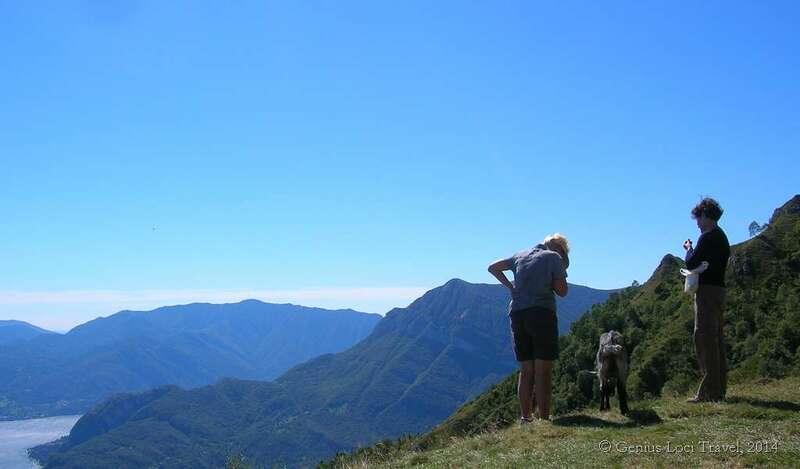 Today you take the cable car up to Brunate where you make a wonderful panoramic walk along a well kept path along the ridge, high above the lake, with views to both sides. 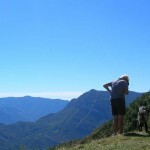 It is possible to have a panoramic lunch in Brunate, but there are also many panoramic spots for a good picnic lunch. Along the ruins of a medieval castle we descend towards the lake again. Those who want can continue the walk down to the lakeshore village, of Torno, and take the boat back. 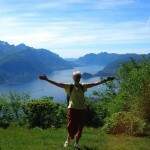 Otherwise return through the forest to Brunate and travel back by cable car to Como. In the evening you can enjoy a good meal in a nice restaurant in the historic city centre. Distance: 10 (6) km. Approx. 5 (3) h. walking. 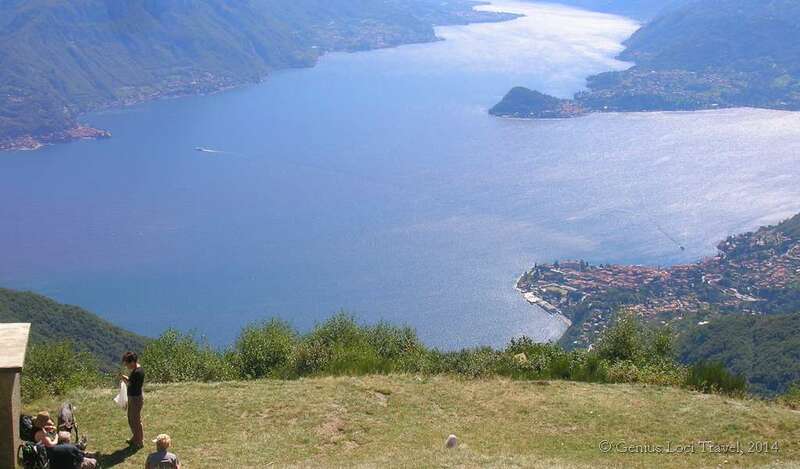 Options for an extra day in Como: Around Como there are several nice walks, for example through the park of ‘Spina Verde’ or along the ‘Strada Regia’, which leads you to Torno and Bellaggio all along the coast, at relatively low altitudes. And there are as well many villa’s and estates to visit. You should absolutely walk to Sant’Abbondio, just outside the city centre. 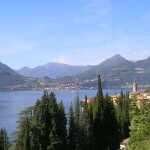 Go and see Villa Olmo and try to see Villa D’Este as well. Travelling by boat to some other lake side villages in this southern part of the lake is also a worthwhile experience. 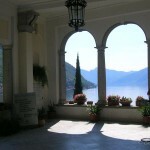 Cernobbio for example, surrounded by beautiful villa’s, has a wonderful relaxed atmosphere. 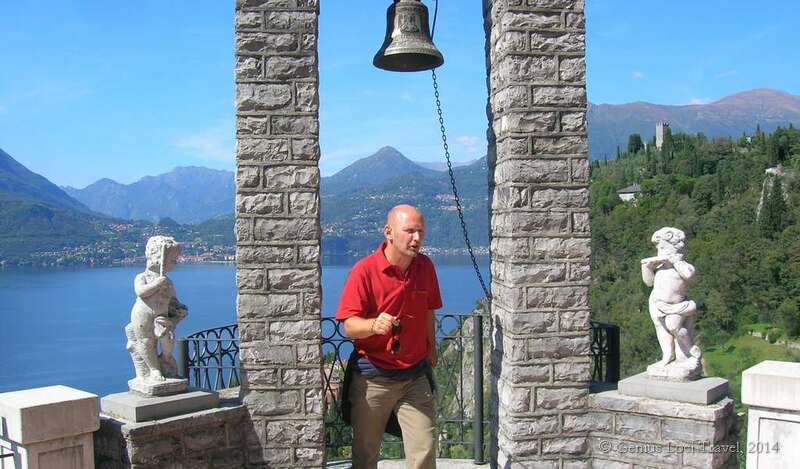 Another possibility is to travel into Switzerland and hike the Monte Generoso. This is an amazing walk, which also features a spectacular train ride almost to the top (and then you can walk down!). From the top views on the two lakes, those of Como and Lugano are breathtaking. Other points of interest can be found along the lakeshore -which in itself is already a superb walkway. Here you will encounter for example the Memorial to the War victims and the monument for Alessandro Volta, born in Como. At the East side of the Lake (near a huge fountain) there are some ‘lido’s’, where it is possible to go for a swim in the lake. The first part of the day is dedicated to the old town of Como, renowned for its Romanesque churches, its wonderful Duomo and medieval town walls and wonderful silk products. But also for its impressive villa’s, its fine ‘fin-de-siècle’ hotels, its and its rationalist architecture along the lake shore. Stroll through the alleys and along the lake to get the real feel of the city. 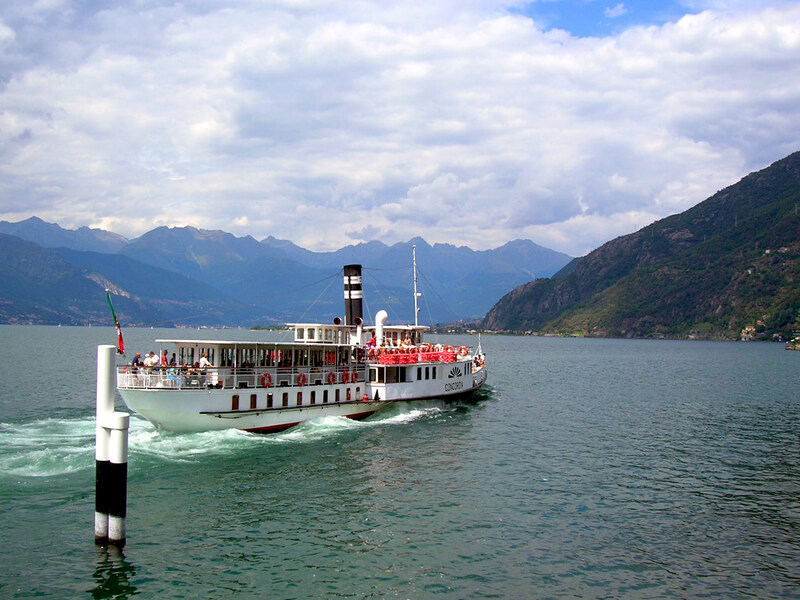 From Como you travel then by boat to Menaggio, admiring all the charming villages from the lake. 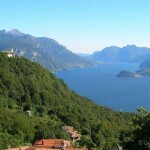 In Menaggio your taxi meets you and brings you up to the charming village of Breglia, along a wonderful panoramic road. 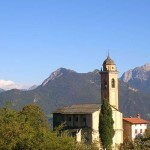 Here you can already go for a first short walk to the Madonna di Breglia, a ‘church with a view’, and San Domenico. Along the roman excavations you return to your hotel to relax on the terrace and breathe in the fresh mountain air. 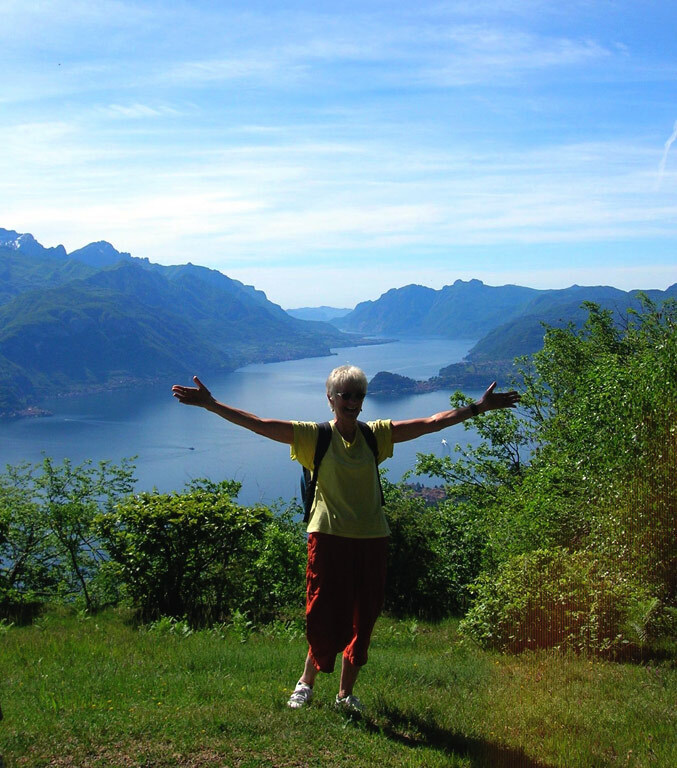 Directly from your hotel in Breglia you start a wonderful roundwalk, which brings you up to Menaggio’s mountain hut. The walk is relatively easy, but nonetheless offers unforgettable views of the lake! First you walk through the old part of the village and beautiful forests. 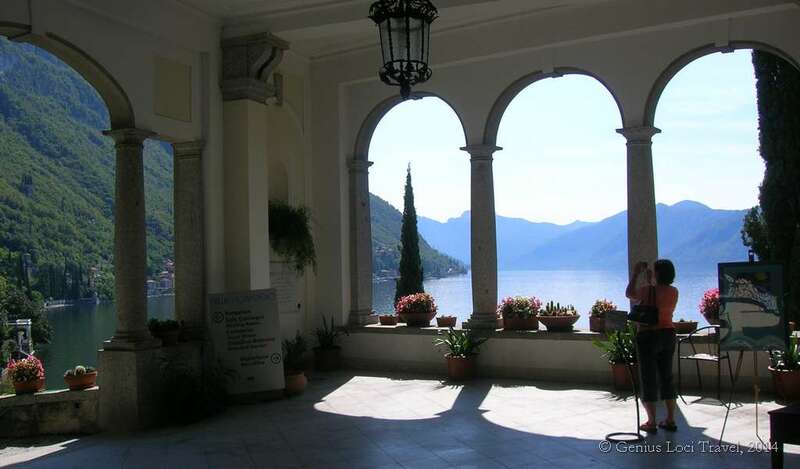 You come across a number of spectacular viewpoints on Lake Como. A last steep section brings you up to the mountain hut, where it’s possible to have lunch. 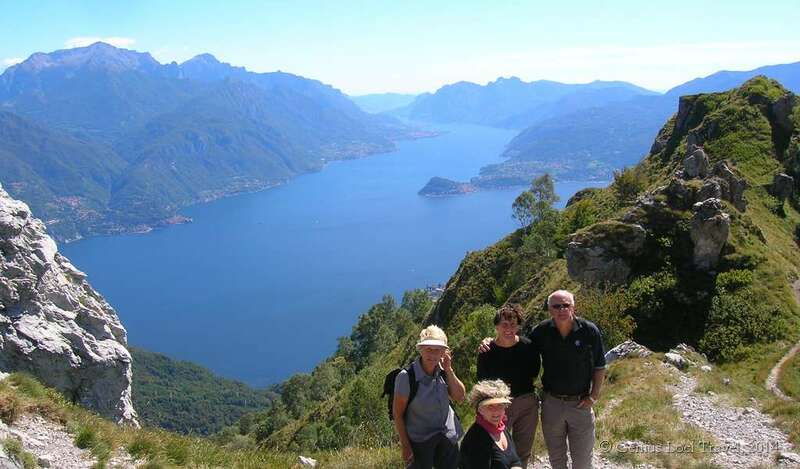 A short extra walk brings you to the saddle of ‘Pizza Coppa’ from where you can admire the whole region, from Lake Como to Lake Lugano (Switzerland). An optional detour can even bring you to the top of Monte Grona (alt. 1736 m.). Along a gradually descending path, with still spectacular views on Lake Como and the surrounding mountains you return to Breglia. 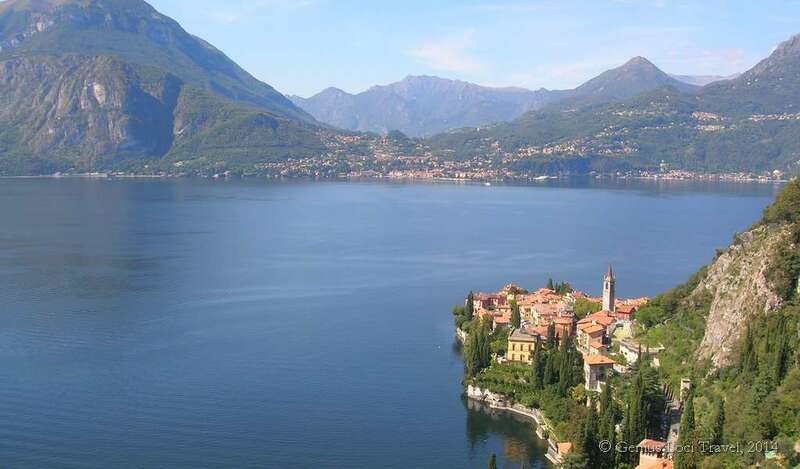 You are brought down to Menaggio, from where you take the boat to the charming village of Varenna, deemed ‘Italy’s most romantic village’, where you can already settle in your hotel. Varenna, with its inspiring views of the lake and the distant mountains, brightly painted houses adorned with flower-filled balconies, a bustling waterfront and a maze of meandering cobblestone streets, is a delightful place to explore. You’ll walk already a part of one of the historical pathways of the area, the so-called ‘Sentiero del Viandante’, which brings you to the curious Fiumelatte, Italy’s shortest river, investigated already by Leonardo. In the afternoon you can opt to visit the small village of Bellano, where you can make a short, but very interesting walk into the canyon of the river Pioverna. Or perhaps you’ll want just to relax and eat in a trattoria somewhere in the village. Today you will walk the northern stretch of the ‘Sentiero del Viandante’. There are several options: you can either walk a shorter or longer stretch. 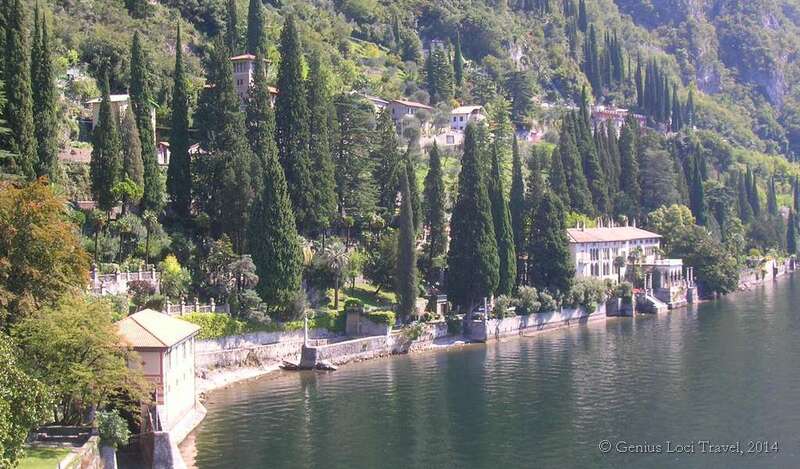 From Varenna you travel by boat or bus to Dervio or Bellano, and from there you walk along this relatively easy coastal path back to Varenna. Views over the lake from this path are marvellous and you walk through a nice terraced landscape. 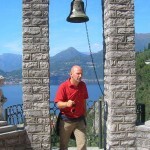 Those who wish can combine the walk with a visit to the abbey of Piona, one of the most intriguing places of Lake Como. 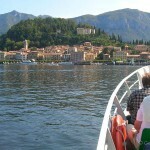 Today you will discover the whole central section of the Lago di Como by boat. 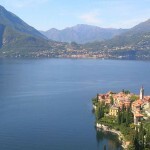 According to your interests there are a several spots where you ‘must’ go: the splendid Villa Carlotta, with its beautiful gardens overlooking the lake, the charming Menaggio and of course Bellagio, ”the pearl of the lake”, situated on the Punta Spartivento, where the two arms of Lake Como meet. 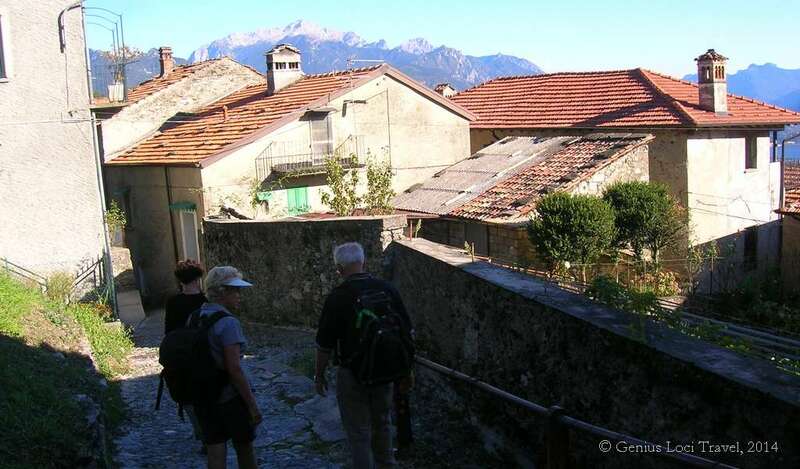 Here you’ll make an incredibly scenic walk through the delightful countryside, through the charming fishing village of Pescallo and up to the scenic hamlet of Visgnola. 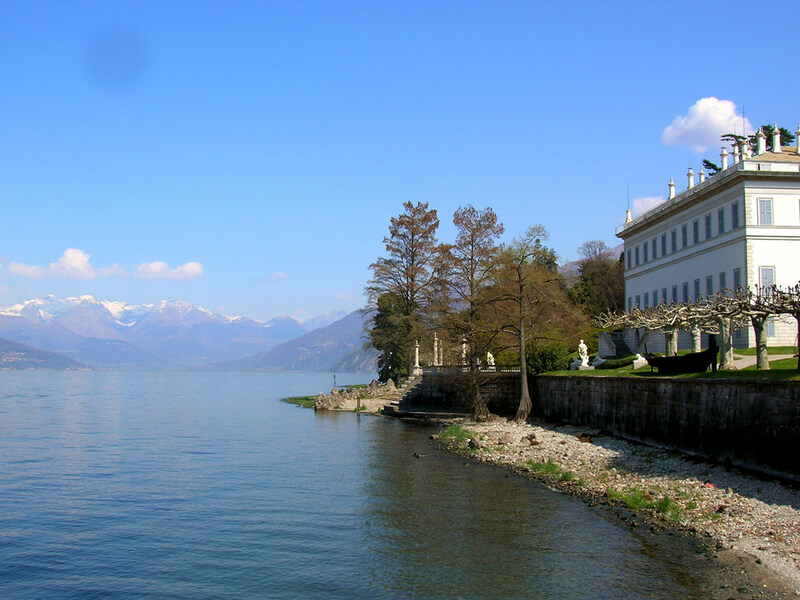 Down at the lake you walk back along the wonderful gardens of Villa Melzi. Then there is time to explore any number of the local villages by boat, or relax with a drink somewhere on the lake shore, before returning to the hotel. Accommodation is on a bed and breakfast basis in 3/4-star hotels. All rooms have en-suite facilities. You are free to organise your dinner from the wide choice of restaurants in the area. No picnic lunches are included in the tour price. Materials for picnics can be purchased in the villages where you stay. Also is it possible on all walking days to have lunch in the villages. Nights 1 & 2: These are spent at Como, the capital of the Lake, in a welcoming and comfortable 3 or 4-star hotel, centrally located at walking distance from all the main monuments of the medieval town centre. Nights 3 & 4: These nights are spent in a comfortable family run hotel, either in the hamlet of Plesio, or in the small hamlet of Breglia, high above the Lake, in the mountains above Menaggio. Moderate (to Easy). In the standard programme there are some more difficult walks, which include some longer sections uphill, sometimes on paths with rough surfaces. Most of the trails are well maintained. Part of these walks can be shortened, including only the sections on easy, mostly paved paths, clearly visible and easy to follow. For the real walkers, longer options are available for some of the walks (eg. days 2 – 4 – 5 – 6), with also some steeper climbs and descents. Fitness: High standard of fitness is not necessary but clients should be able to walk for up to 5 hours a day. Shorter and longer options are always available. Waymarking: Only a part of the route is waymarked; elsewhere it is necessary to follow the route descriptions provided together with the maps. Some walking maps are available from the tourist information centres at Como, Menaggio and Bellagio. Other maps are on sale at the newspapers agent’s. Arrival: The tour starts in Como. A regular train service runs from Milan (about 1 hour). There are also buses directly from the airport of Milano – Malpensa. 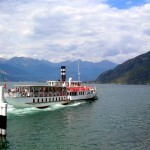 Regular ferryboats run from and to all places along the lake shore. A pickup service with private taxi from Milan or the Airport can be arranged on request. Departure: The tour ends after breakfast on day 8 (or 6) in Varenna. 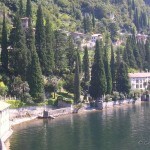 The return is most easily made by boat to Como, then by train to Milan, or by bus directly to the airport. Several taxi services are available. A taxi service can be arranged on request. It is possible to include extra nights in any of the towns en route. Details and prices on request. Extra walking or sightseeing options will be provided!!! 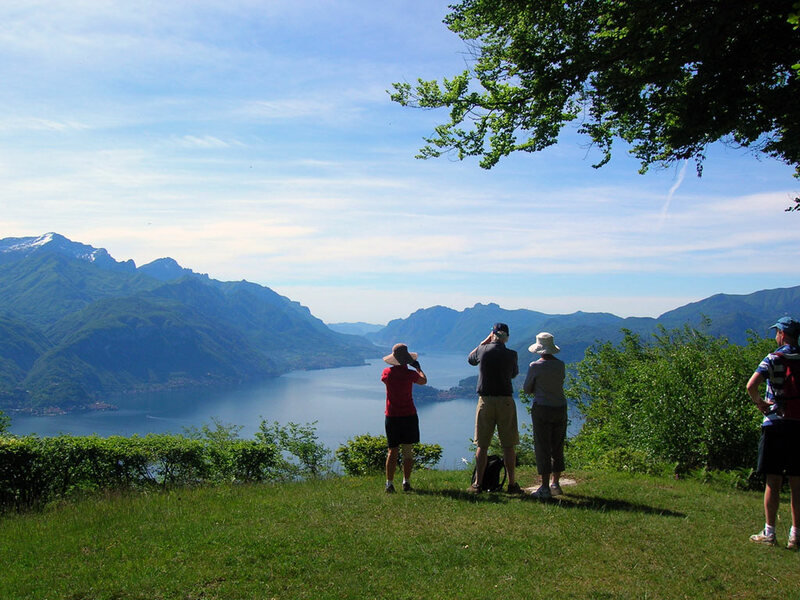 It is possible to extend the tour with walks around Menaggio. 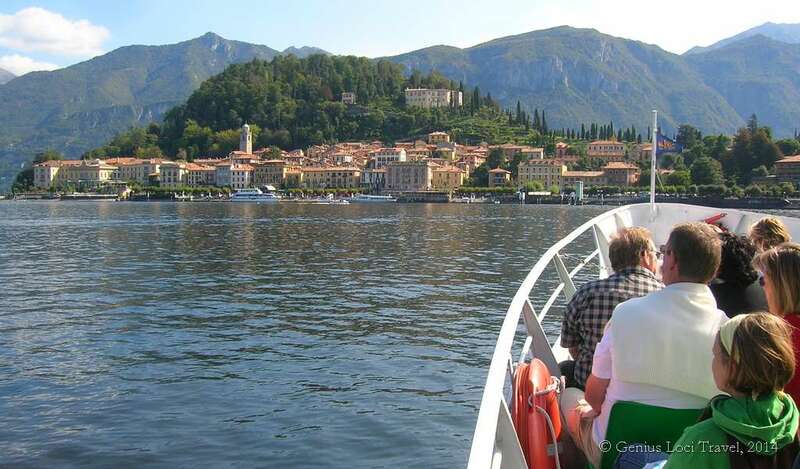 It is possible to extend the journey with 3 or more days on Lake Garda (3-5 days).